I'm so happy to be able to share today's ETUDE HOUSE haul with you. I was lucky enough to have my friend bring me back some Etude items all the way from Korea which is very exciting. Etude have always got me hooked with their cute packaging and innovative thinking in terms of products and there shouldn't be a reason why makeup/skincare can't be effective, affordable and beautifully packaged right? Watch my video for more juicy details on these products! I can certainly see a couple of these guys being "favourites" potentials. For the most part, I am thrilled with the items I choose. 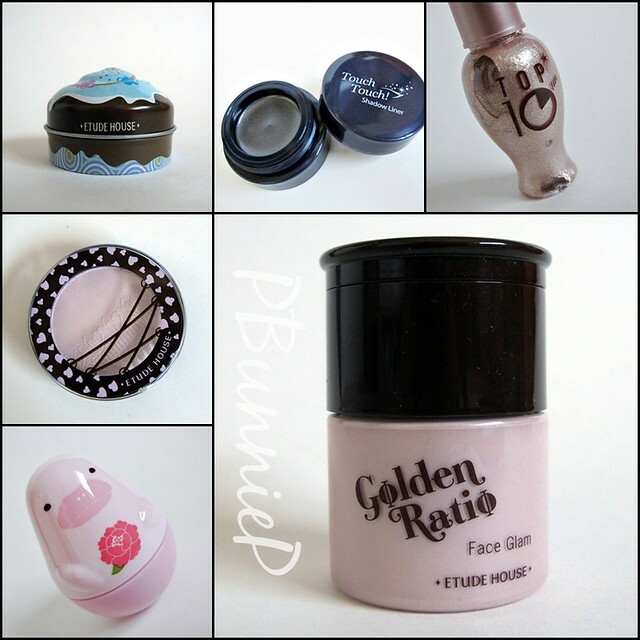 Got a favourite ETUDE HOUSE product? I love your etude house haul video! I am so in love with them! I understand your feelings on the foundation though. I'm a paaaale white girl but I was able to get away with the lightest precious mineral bb cream. I also mix in some sunscreen lotion, for moisture and to lighten it a bit more and it doesn't make me break out! That and my Vitcara mascara are my favorites so far! have you use their toner and face wash ? Does it make any different after you use it ? I plan to buy it but not sure if I would like to get this etude brand. I've never used their face wash but they do have LOTS of products for skincare, I did receive a small sample of the Collagen Moistfull toner and moisturizer and I thought it was quite decent!